Michael Edols was the man who gave our first feature film it's distinctive look. While the rest of the Australian film industry wass plodding through wide brown historical melodramas, we were more interested in what was happening internationally. From Ken Loach to Haskell Wexler, the verite school was in the ascendancy and Michael became the pre-eminent Australian exponent of getting the camera into the action. He died suddenly last month and a tribute was organised by local film makers. Here is the video tribute from Smart St's Haydn Keenan to the man who shot our Award winning first feature film 27A. In the increasingly hectic 24 hours news cycle significant stories often fade from view quickly. What happened in the end; to the disaster, the corrupt behaviour, or the personalities who were so high profile for a moment. 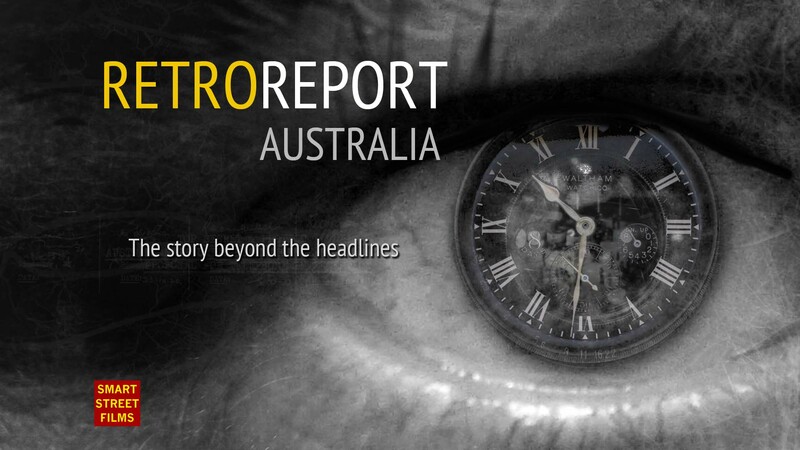 RETRO REPORT is the final draft on the biggest news stories and a timely addition to the news cycle. Using award winning producers, journalists and editors RR will go back over the source material, find eye witnesses and re-examine the news coverage to produce high quality short form documentaries. With Conservative Governments and Foreign combines once again pushing for Australian quotas to be removed from local TV it's probably an appropriate time to note that this struggle has been going on for more than fifty years and the local content we do have on TV has been hard fought for over those years. You can pick up the boxed set of PERSON OF INTEREST here.